The Catalyst is a Gallente destroyer. Its bonuses favor blasters, though it can also be rail fit. It has 2 mids, allowing it to fit a tackle module, and 3 low slots for an armor tank. Unfortunately the Catalyst is still a destroyer, so it has a large signature for its tank, making it vulnerable to cruiser weapons, and it's slow speed and lack of mid slots means it will have difficulty dictating range against frigates, which is important for a blaster ship. A railgun fit Catalyst is a very fast L1 mission runner, but has trouble tanking level 2s. The Catalyst's very high damage at short range makes it the ship of choice for Suicide Ganking in High Sec space. Like all destroyers, the Catalyst is also a great entry-level salvager ship on a player's path to a Noctis (in unsafe areas like wormhole systems pilots often fly destroyers even if they have the skills for the Noctis). Further information about additional or recommended skills to pilot Catalyst for a specific or it's common role(s) can be written here. Catalysts are the epitome of the Destroyer as a disposable DPS platform; even without a hull bonus, 8 blasters provide firepower better than some cruisers. Unfortunately, blasters have very short ranges and the Catalyst struggles to get in and stay in range due to its low speed, thin tank, and limited space for tackle and propulsion modules. This means that Catalysts have limited PvP applications outside of suicide ganking. 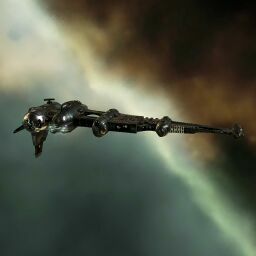 It is possible to mitigate the ship's disadvantages by flying with fleetmates who can apply tackle and provide warp-ins on targets, increasing the likelihood of the ship living long enough to apply its impressive paper DPS. This page was last modified on 23 March 2019, at 12:59. This page has been accessed 312,137 times.